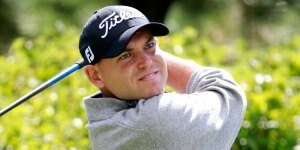 US PGA Tour player Bill Haas was injured in a fatal rollover car crash Tuesday night in Pacific Palisades, California. Haas, pictured, who was set to compete in this week’s Genesis Open at nearby Riviera Country Club, was a passenger in an older model Ferrari traveling south near the 500 block of Chautauqua Boulevard when it collided around 6:30 p.m. with a northbound BMW. A Los Angeles Fire Department report said the Ferrari driver was pronounced dead at the scene. Golf Channel reported Wednesday that the driver was identified as 71-year-old Mark William Gibello, a Pacific Palisades resident with whom Haas and his family were staying this week. Gibello was executive vice president and director of TCW Asset Management Company. According to Golf Channel, Gibello was friends with Haas’ swing coach, Billy Harmon, and was instrumental in bringing the 2017 Walker Cup and 2023 U.S. Open to Los Angeles Country Club, where Gibello was a member. Haas, 35, was one of two victims transported to a local hospital – the other was a 50-year-old female driver of the BMW – and Los Angeles Police detective Jeff Fischer told KTLA-TV that Haas was “doing okay” and in stable condition. Haas’ father, Jay, later told Golf Channel that his son had been released from UCLA Medical Centre with pain and swelling in his legs, but no broken bones, and was expected to make a full recovery. “Bill was very fortunate,” Haas senior told Golf Channel.